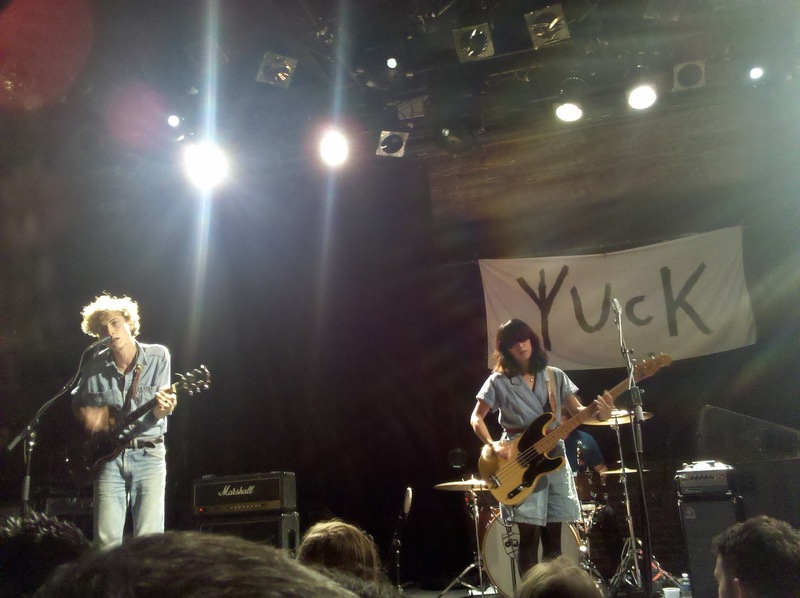 Live Show 2011 #4: Yuck | Are you Insane? Location: Music Hall of Williamsburg, Brooklyn. October 13th. In addition to finally supporting musicians with money, I started going to show to validate my taste in music. I want to believe that the bands that play my favorite albums are as talented or even more talented live than in a recording studio, to separate the Jack White’s from the Rebecca Black’s. So when Yuck perfectly replicated 90′s alternative (I’d be lying if I told you I knew what that meant, but I do love that sound), I had to hear them live. After driving through the worse traffic in America (North Jersey to Brooklyn in 3 hours!!!WTF!!! ), I made it to hipster central, Brooklyn. The Joy Formidable, reviewed in my last post, are defined by their live shows. Even their debut full-album contain singles that are extended version of their previous mini-album. They live and die by the execution of their live sets. When I saw Yuck, it was like I was listening to their album on shuffle. This was perfectly acceptable for me and the other hipsters in the crowd. Really, they’re ranked higher because they were more technically flawless and the crowd didn’t offend me. Since I’m not gonna be spending mega bucks for these show, I don’t mind if I don’t see flashy visuals and background dancers. Also, while it’s possible that one can only be so pumped listening to 90′s-style alternative, I do prefer when bands display more stage presence in their shows. While Yuck didn’t lack stage presence, the next reviews contain bands that exude so much charisma that it elevates the concert experience to another level.